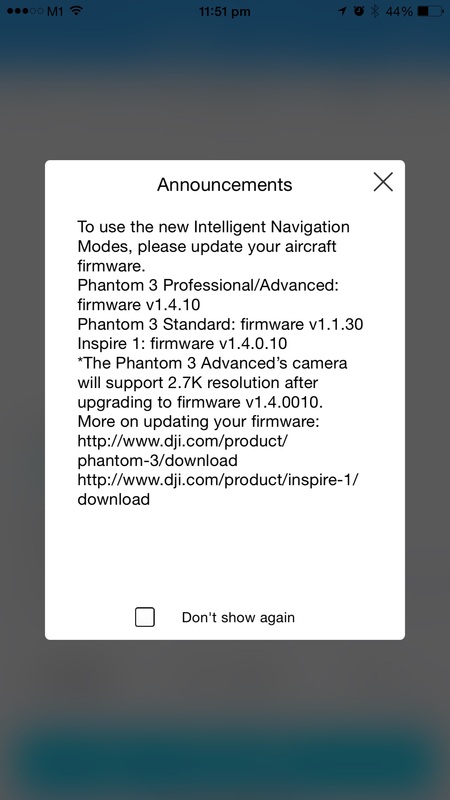 Was greeted with the above screen capture when I launch the DJI GO application. Finally, waypoint is added to the intelligent fight mode. Before you start to use the new fight mode commercially, please practice and get to know the feature well.